Good morning! I am so excited to be part of the Critter Sketch Challenge Team! What a talented group of crafty gals! Be sure to pop on over and check out the sketch for this week - it's a fun one created by one of our own - Michele. 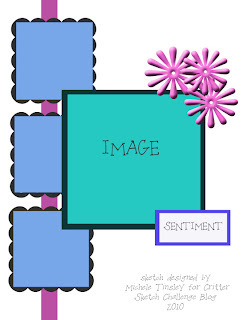 The sponser this month is Whimsy Stamps, and the more you play along with us, the more chances for a prize. Supplies are SU cardstock Really Rust and More Mustard, and the brown is DCWV white core. Not sure where the DP and image are from, but the image is colored in with Copics and highlighted with clear Stickles. Sentiment is PTI stamped with Memento brown ink. Embossing is done with a Cuttlebug embossing folder. All embellies are from a card kit. Wow! Beautiful card! Great take on the sketch!! It's beautiful, Colleen! 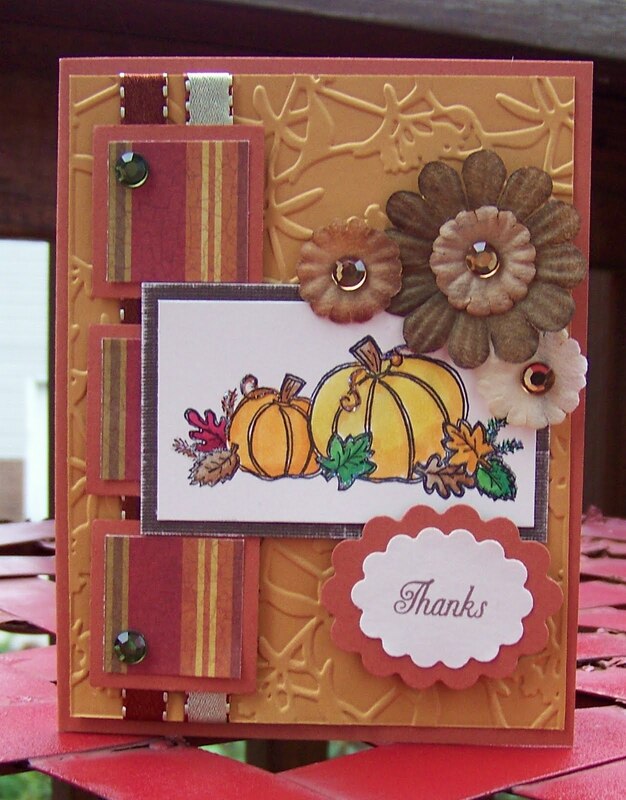 I love the embossed background and the very fall feel to it. WOWZER Colleen! This is one of my favorites of yours! 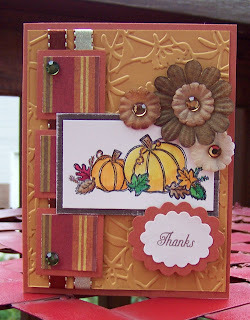 I love the embossing and that touch of rust is inspired! I have to tell you....I just love your card! Such a wonderful Fall feeling to it! Hi Colleen, your card is fabulous!! Beautiful colours and a fabulous take with the sketch! Such a great card love the colors and theme awesome take on the sketch! I love that embossing folder!! Another fab card!!! I just love those jewels.